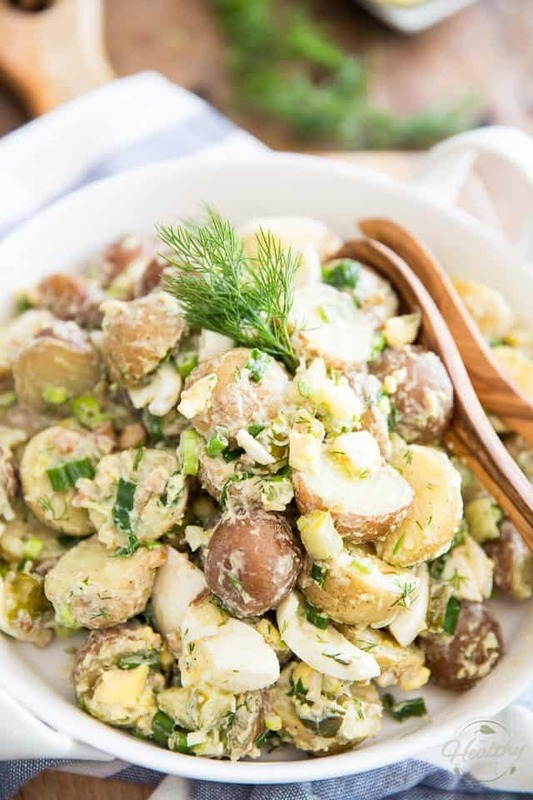 I belong to that category of people who don’t really need convincing when it comes to Potato Salad. I’d be like, instantly, YES PLEASE! In fact, I don’t think I’ve ever met a potato salad that I didn’t like. Well, so long as it’s homemade, that is. I don’t care much for the commercial stuff that comes in plastic jugs and that usually feels like the potatoes haven’t been cooked all the way through. 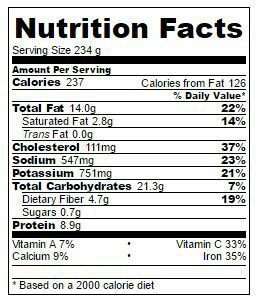 It has been ages since I’d last had some of that, but I still remember how yucky those crunchy potato bits felt in my mouth. 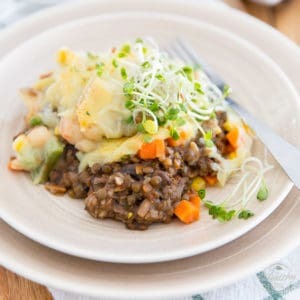 But for the most part, so long as the potatoes are cooked right and feel soft and creamy in your mouth, even once the salad has had a chance to chill, then I’m a HUGE fan! Oddly enough, though, I’ve never been tempted to play much with potato salads. 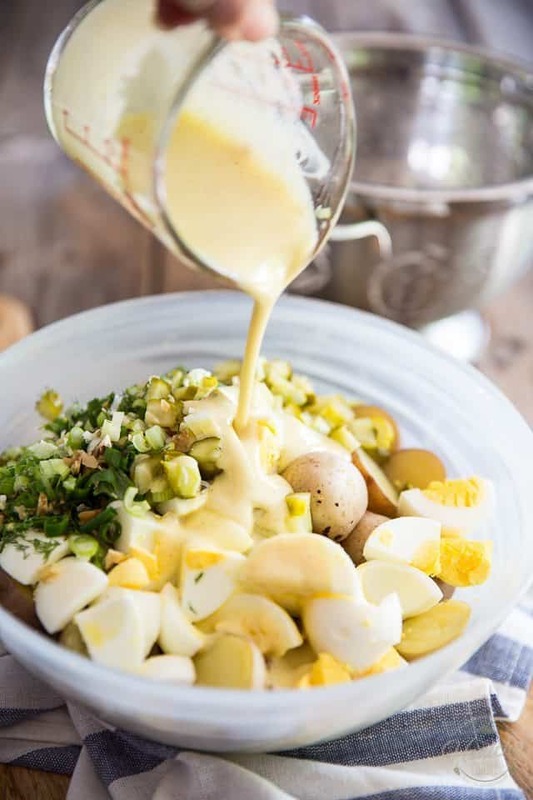 I’ve always pretty much made them the same “classic” way, with mayonnaise, celery and green onions, my ultimate favorite variation being my Warm Potato Salad with Creamy Goat Cheese and Crispy Bacon. But now, I think that I just found me a new favorite… or a very, very close second! 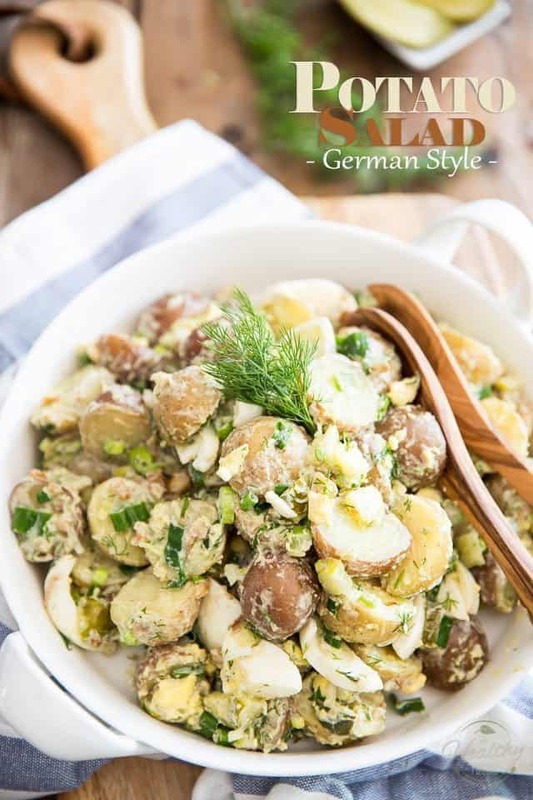 What I especially like about this particular “German Style” Potato Salad, other than its absolutely crazy taste and texture overload, is that you ideally want to eat it warm, so there’s no need to make it in advance. BUT, it’s equally delicious cold, so any leftovers can be eaten straight out of the ice box! 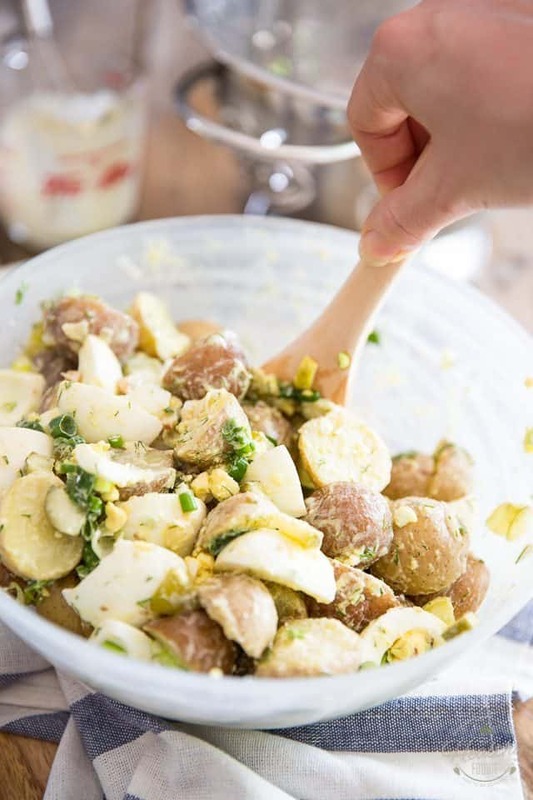 This salad only takes as long to make as the time you need to cook the potatoes, plus about 10 minutes so they have a chance to cool down some. 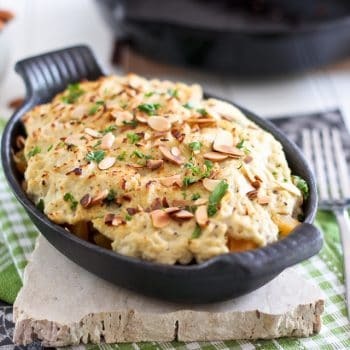 Otherwise, you want to start by cooking the potatoes in plenty of salted water until they are fork tender, then drain them and let them cool at room temperature for about 10 minutes. 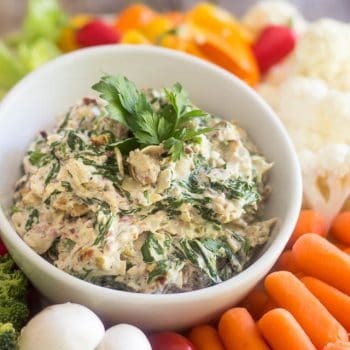 Make the dressing by combining the olive oil, apple cider vinegar, sour cream, Dijon mustard, salt and white pepper in a small bowl or measuring cup; whisk vigorously until well combined and reserve. 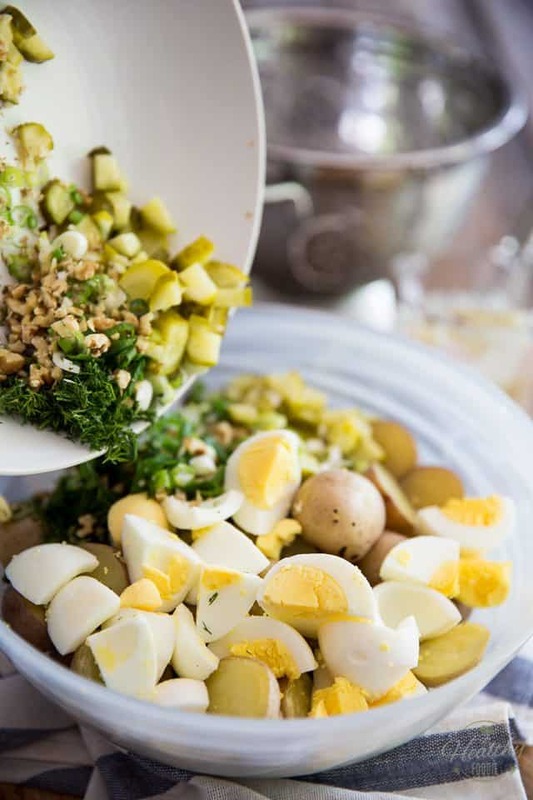 Once everything is good and ready to go, combine the cooked potatoes, hard boiled eggs, chopped green onions, dill pickles, walnuts and fresh dill in a large mixing bowl. 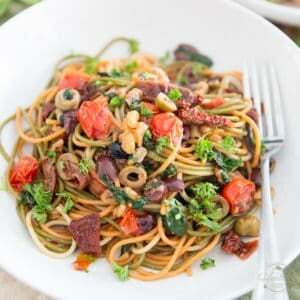 I know, it may sound weird, but trust me, the combination of flavors totally works! …. and toss very delicately until well combined. 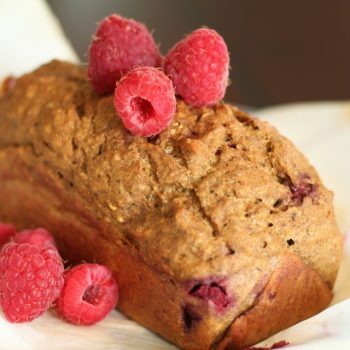 Perhaps you should make a double batch, so you get to enjoy the best of both worlds: have some now, while it’s still nice and warm, and enjoy the chilled leftovers tomorrow! Cook the potatoes until fork tender in plenty of salted water, then drain them and let them cool at room temperature for about 10 minutes. While that's happening, hard boil the eggs using your favorite method, then cool them slightly, peel them and cut them in 8. 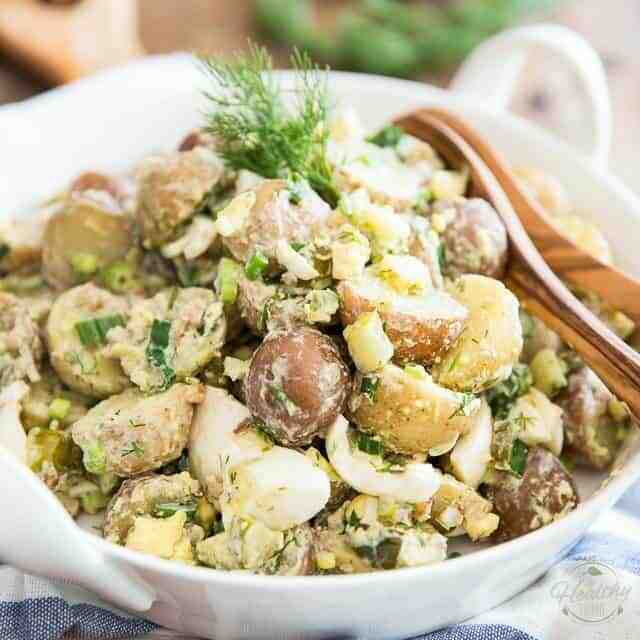 Combine the cooked potatoes, hard boiled eggs, chopped green onions, dill pickles, walnuts and fresh dill in a large mixing bowl. 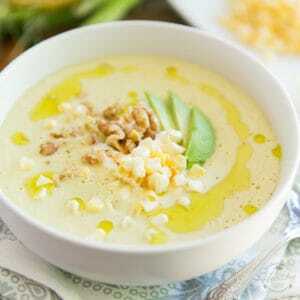 Add the dressing and toss delicately until well combined. 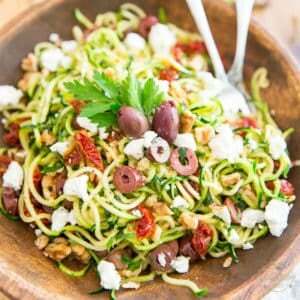 This salad will keep in the refrigerator for 3 days. 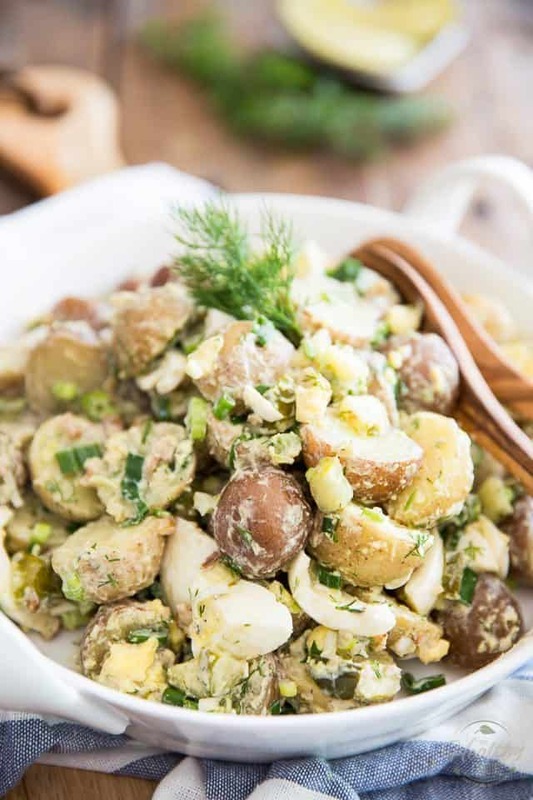 Yummm this reminds me of Summer barbecues where I grab more potato salad than anything ha! Gorgeous! 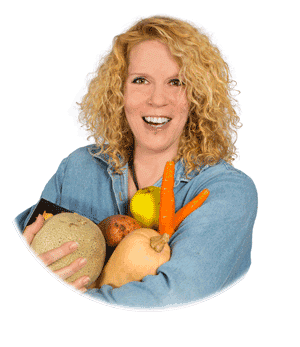 An electric pressure cooker (Instant Pot, Cook4Me etc) will cut down your prep time dramatically. 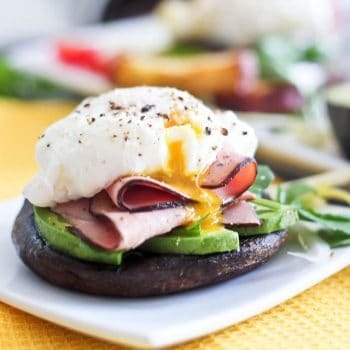 Eggs: no need for old eggs, fresh work just as well. Place in the steamer insert, 1 cup of water (splash of white vinegar makes them even easier to peel). 5 minutes, then straight into cold water to halt residual cooking. Easiest eggs to peel ever, foolproof perfect eggs every time. 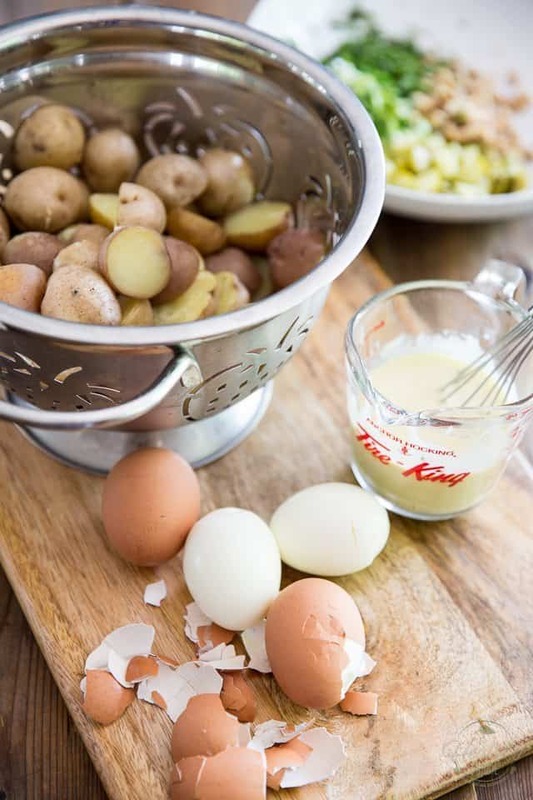 Potatoes: Place in the steamer basket, 1 cup of water, 8 minutes plus 2 minutes per 200g potatoes (can vary between cookers, do a test batch first to dial in your preferred done-ness). Modern electric pressure cookers are so safe and easy to use, and take care of timing, temperature and pressure-release for you. Best investment ever!